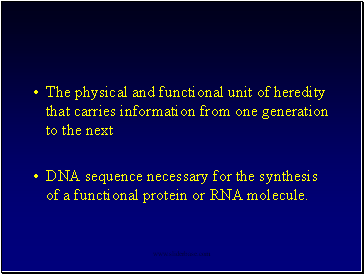 DNA sequence necessary for the synthesis of a functional protein or RNA molecule. 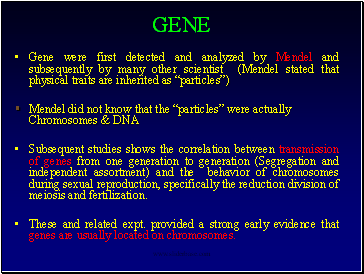 Subsequent studies shows the correlation between transmission of genes from one generation to generation (Segregation and independent assortment) and the behavior of chromosomes during sexual reproduction, specifically the reduction division of meiosis and fertilization. These and related expt. 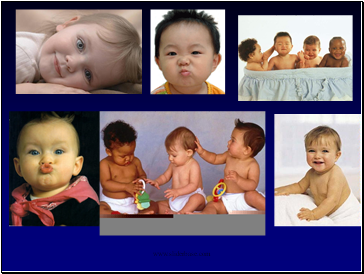 provided a strong early evidence that genes are usually located on chromosomes. 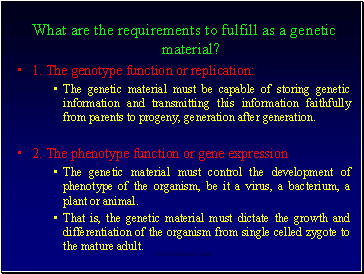 What are the requirements to fulfill as a genetic material? The genetic material must be capable of storing genetic information and transmitting this information faithfully from parents to progeny, generation after generation. 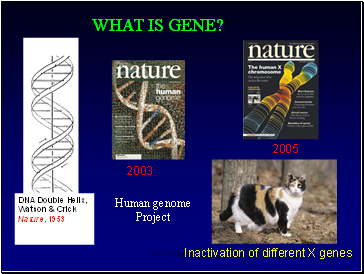 The genetic material must control the development of phenotype of the organism, be it a virus, a bacterium, a plant or animal. That is, the genetic material must dictate the growth and differentiation of the organism from single celled zygote to the mature adult. 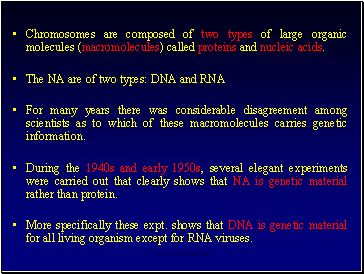 Chromosomes are composed of two types of large organic molecules (macromolecules) called proteins and nucleic acids. For many years there was considerable disagreement among scientists as to which of these macromolecules carries genetic information. During the 1940s and early 1950s, several elegant experiments were carried out that clearly shows that NA is genetic material rather than protein. More specifically these expt. 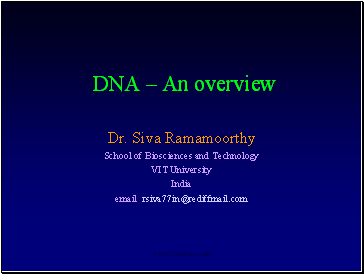 shows that DNA is genetic material for all living organism except for RNA viruses. Models of dna replication meselson and stahl expt.